In modern Japan the importance of Oda Nobunaga (1534-1582) and his legacy remains extremely strong even today. After all, he laid the foundation stone for the future centralized Japan despite certain limitations during the Tokugawa period. However, often the more dynamic side of Oda Nobunaga is neglected and instead the focus is on his military prowess and cruelty. 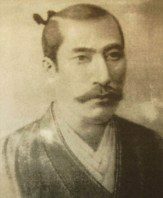 Therefore, the linkage of Kano Eitoku with Nobunaga is most illuminating. Eitoku was one of the most prominent and highly respected artists of the sixteenth century in Japan. He was born in 1543 and died eight years after Nobunaga in 1590. Yet the linkage between the artistic mastery of Eitoku with Nobunaga provides a different angle and one which may have been hidden for political and religious reasons. Nobunaga was an innovator but sadly his inquisitiveness and openness to international influence would be crushed by following leaders. In time the Tokugawa period (1603-1868) would condemn all converts to Christianity to death and isolate Japan from the world despite some “windows” staying open. The power of Buddhism would be utilized by the state and Confucian order would lead to greater stratification. This was a far cry from Nobunaga who lifted major economic restrictions on the peasantry, had favorable relations with Christian preachers, modernized the military, and introduced other favorable reforms in the realm of economics. 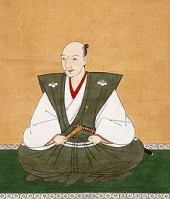 The political intrigues of Buddhist elites who desired to preserve their power concentration were alarmed by Nobunaga. This notably applies to his favorable policies towards the peasants and Christian missionaries. Indeed, Nobunaga is reported to have had little time for stratification and practices which held back progress. He remained to be an atheist but his brother converted to Christianity. Not surprisingly, this alarmed Buddhist elites which feared that their wealth may be challenged by peasant reforms and a competing religion. Note that the usage of “foreign cult” could also be stated about Buddhism because this faith wasn’t born in Japan. Also, for the non-religious then all religions could be deemed to be “cults.” However, the most important point is that for hundreds of years you have had massive negative opinions about Nobunaga in certain quarters. Therefore, much of his openness and innovation was hidden by elites who feared the policies of Nobunaga. After all, his fresh thinking alarmed many traditional elites whose only desire was to maintain their power concentration. In the field of the arts the role of Nobunaga was very important and it is in this area where the connection with Eitoku materializes. This applies to Eitoku being a patron of Nobunaga and other powerful leaders. Even before Nobunaga amassed power and wealth he was always interested in the arts. Therefore, during the period of Nobunaga a cultural renaissance was also beginning to take shape. This applies to major gardens of stunning beauty being built along with castles which were blessed with rich architectural designs. Indeed, the Azuchi Castle which is located on the shores of the famous Lake Biwa is deemed to be one of the most beautiful castles ever built. Inside, this castle it was adorned with stunning ceiling paintings by Eitoku and other major areas of art related to high quality statues. Nobunaga also used his innovation in relationship with the Japanese tea ceremony. Also, the usage of the Japanese tea ceremony during talks about business, trade, and politics were firmly established under Nobunaga and reached a new dimension within the body politic of Japan. Therefore, Sen no Rikyu who was a famous tea master under his rule had an important cultural part to play in developing greater refinement. At the same time Nobunaga was also intrigued by aspects of European culture therefore he collected Western art and studied other areas. The first Christian church to be built in Kyoto in 1576 was because of Nobunaga’s patronage. While the first steps of modern kabuki began to materialize under his leadership and during the Tokugawa period this important cultural symbol would flourish. Alongside all these innovations Nobunaga had hoped to install a rational political system which moved away from superstition and stratification. This can be seen by his openness to outside ideas and economic policies which enabled trade to flourish, for peasants to have greater freedom and the same applies to artisans. However, his period in power could not fully implement all the reforms that he had desired. Therefore, in time you had a counter-revolution in the realm of ideas which persecuted Christianity, isolated Japan, infringed on the rights of peasants, and whereby traditional power mechanisms once more stifled many areas of life. “The influence of Chinese painting styles was clear and this was only natural for the day and clearly Motonobu was very proud of his grandson. Eitoku maintained the pre-eminence of the Kano school which was founded by Kano Masanobu (1434-1530?). Eitoku like Nobunaga left a lasting legacy despite the reasons being very different. However, without the patronage of Nobunaga then the amazing skills of Eitoku would have been hindered on a national scale. The relationship between both individuals highlights the sophistication of Nobunaga and the mastery of Eitoku and his stunning pieces of art. Nobunaga was much more than just a warlord because he helped many aspects of Japanese society to flourish. In the field of culture and art his legacy is extremely rich. Therefore, the artwork of Eitoku provides a glimpse into the world of Nobunaga and his unbelievable free spirit.